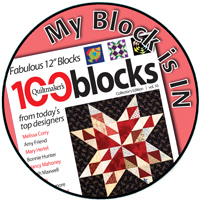 Welcome to Day 3 of the Modern Plus Sign Quilts Blog Hop. The kick off post is here. 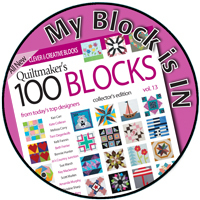 If you are just joining us, we will be sharing 2 quilts from the book each weekday until all 16 quilts are featured and 40+ bloggers will share their version they have made on their respective blogs. You are in store for a treat! And, there will be giveaways each day! 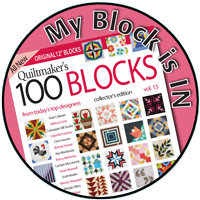 I was excited to find out Plus Surround was juried into the Modern Traditional category at QuiltCon 2018. Plus Surround is made from two Carolyn Friedlander prints, one Cotton and Steel print and Kona Cotton in White for the background. I like this perspective when I was layering Plus Surround in preparation of quilting. This photo by C&T really shows off the quilting. 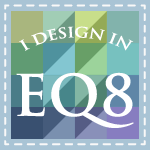 I quilted Plus Surround with Aurifil 50 wt. in white on my Bernina. 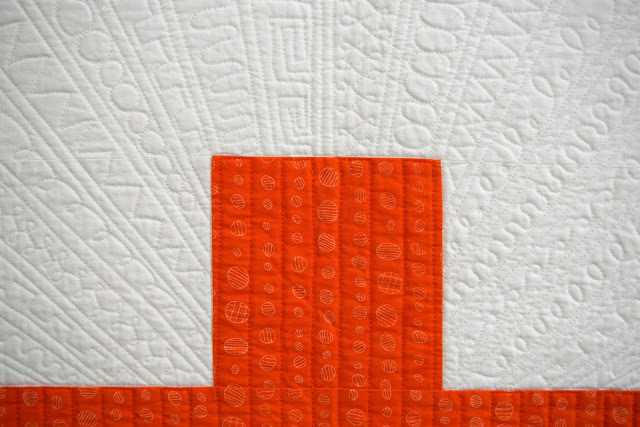 Here is a detail of the quilting around the central plus sign. 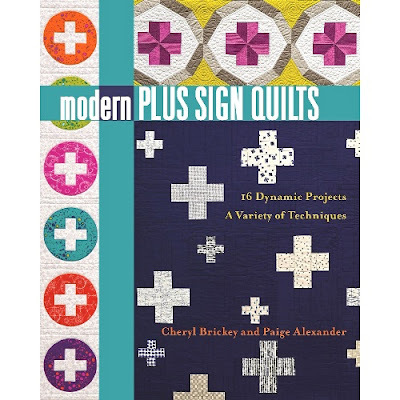 Modern Plus Sign Quilts includes two foundation paper piece patterns by Cheryl and Kaleidoscope Plus is one of them. Isn't Kaleidoscope Plus so crisp and pretty hanging in the sun? 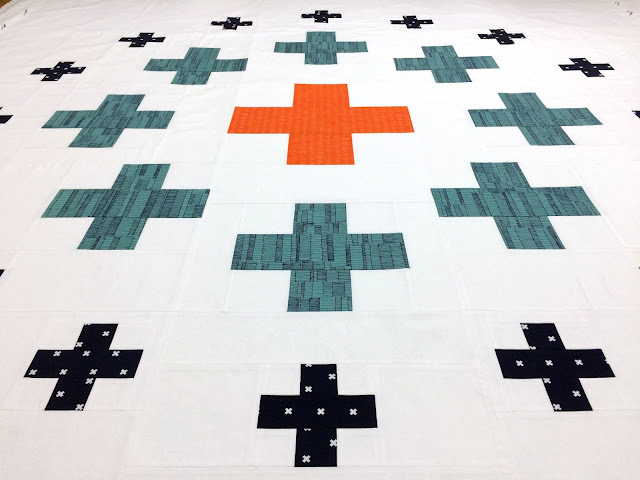 Kaleidoscope Plus is made from Robert Kaufman fabrics in Kona solids and screen printed Kona cotton solids (Blueberry Park) by Karen Lewis Textiles. 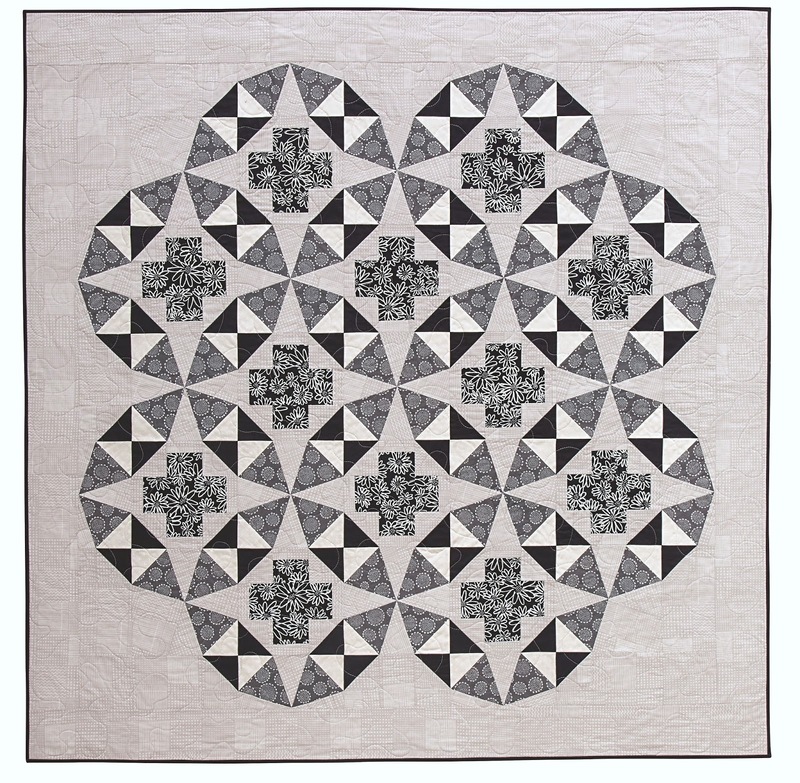 It was paper pieced and quilted by Cheryl. Karen, Sandra and Yvonne have make beautiful versions of Kaleidoscope Plus, go check them out! And today's giveaway is a beautiful Echino pincushion handmade by Cheryl. Giveaway runs from March 14th through 8 pm EST March 21st and is open worldwide. Note: this giveaway is the same on both Cheryl's blog and here so there is no need to enter on both blogs. I can't believe all of the versions of Plus Surround and Kaleidoscope, they are fabulous!! Paige Congratulations again to you on this great book. 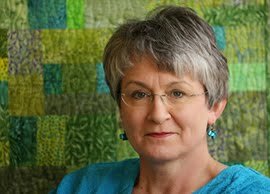 It is so fun to see everyones interpretation of your patterns. Paige, today’s hoppers did a magnificent job showcasing these two quilts from your book. What a fun hop! 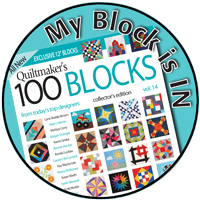 I am enjoying this book release blog - so many beautiful versions of so many beautiful quilts. You should be proud! I had so much fun making Plus Surround! 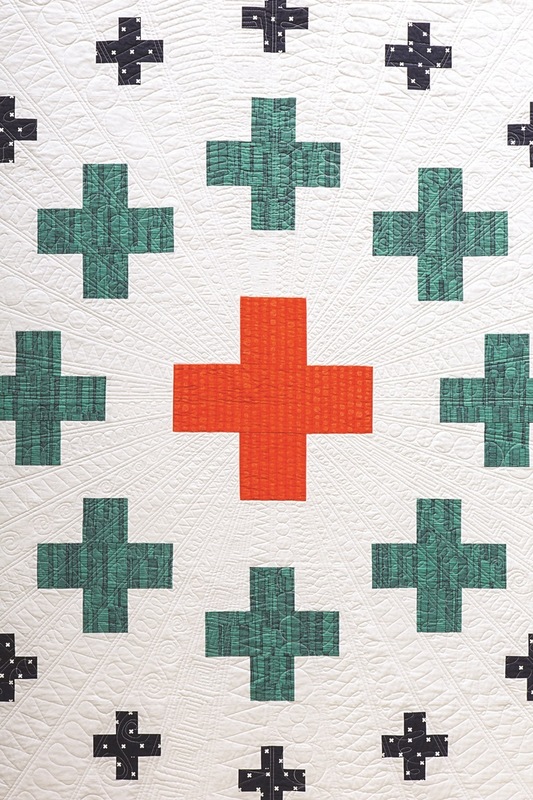 It is going to be one of those quilts that I make again and again with a different color scheme. 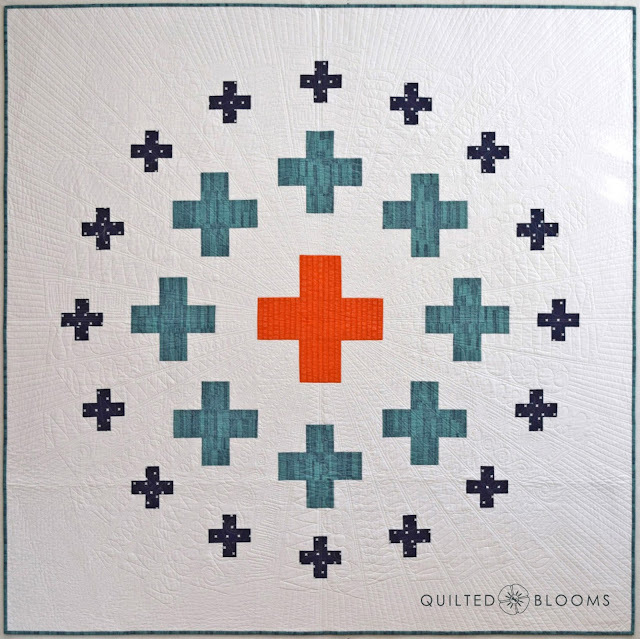 These are both beautiful quilts!